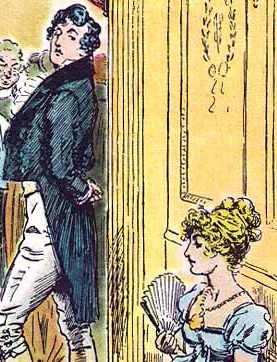 200 years ago on January 28, Pride & Prejudice was published in England. 200 years ago! I could go on and on… I can’t wait until my next re-read. In honor of the occasion, I started watching the BBC version of “Pride & Prejudice.” Almost 5 hours of delight with the great Colin Firth as Mr. Darcy. So proud and outwardly disagreeable. I won’t get it done in one sitting, but it will be what I’ll be watching for a few days! I saw “Silver Linings Playbook” for the second time and will have to refrain from seeing it again and again! It definitely will be purchased! Saw “The Impossible” with Marissa in the late show. Wow. Painful and heart-wrenching to watch, even knowing the outcome. Those kids were incredible! The adults were amazing, too. Good stuff. Had a great few nights with Deadra and family – watched “Magic Mike,” “Once,” “Young Adult” and episodes of the Take Home Chef. Good talks and good food and good wine! Good times! What about you? What are you reading? Do you have a favorite Pride & Prejudice quote? Favorite film adaptation? “Bride & Prejudice” done Bollywood style was pretty fun, too! This entry was posted in General Book Talk, Movies! and tagged 200 years, BBC, Colin Firth, Darcy, Elizabeth Bennet, Great Gatsby, Jane Austen, Pride & Prejudice, Silver Linings Playbook, Take Home Chef, The Impossible. Bookmark the permalink.